The Huberhus was built in 1590 as a house containing six cubicles and a cellar built underneath. The first owners, Fritz family, are documented in 1780 and in 1830 the Huber family. 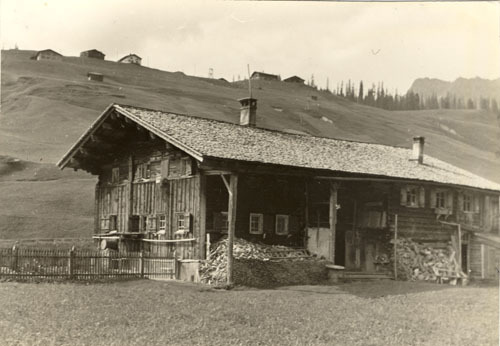 The brothers Hugo, Emil and Otto Huber had the house at last. 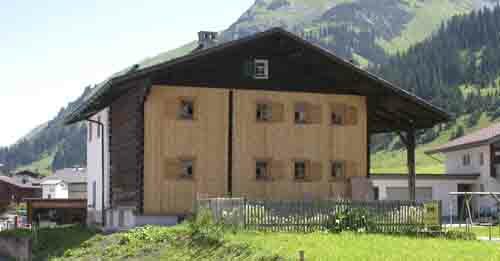 On 18 July 1984 the house came into the possession of the municipality Lech thanks to the efforts of mayer KomRat Johann Schneider and the former school inspector Herbert Sauerwein. The municipality committed itself to using the house as a museum. The Huber brothers as well as their housekeeper Maria Konzett-Pircher maintain the right of abode as long as they live. In 2004 and 2005, the building was renovated and restored and is open to public since 2006. The ground floor was made as a memorial and the first floor can be used for exhibitions and different activities. The museum is administered directly in the house where the historic archive of the municipality is also located.